Is your organization trying to get a handle on how to evolve your networking infrastructure for a cloud-based world? Just what are the new paradigms and skill sets you need to master to ensure current and future optimal access to your workloads running in Azure? Understand the fundamental change in networking infrastructure for the cloud and areas of future networking investments. Optimize the common elements of your network for all Microsoft cloud platforms and services. Understand the ExpressRoute service and how it connects your organization to Microsoft's cloud offerings. Design your intranet and network edge for Azure-based PaaS applications and IT workloads running in Azure infrastructure services. Design your Azure virtual networks to host virtual machines. 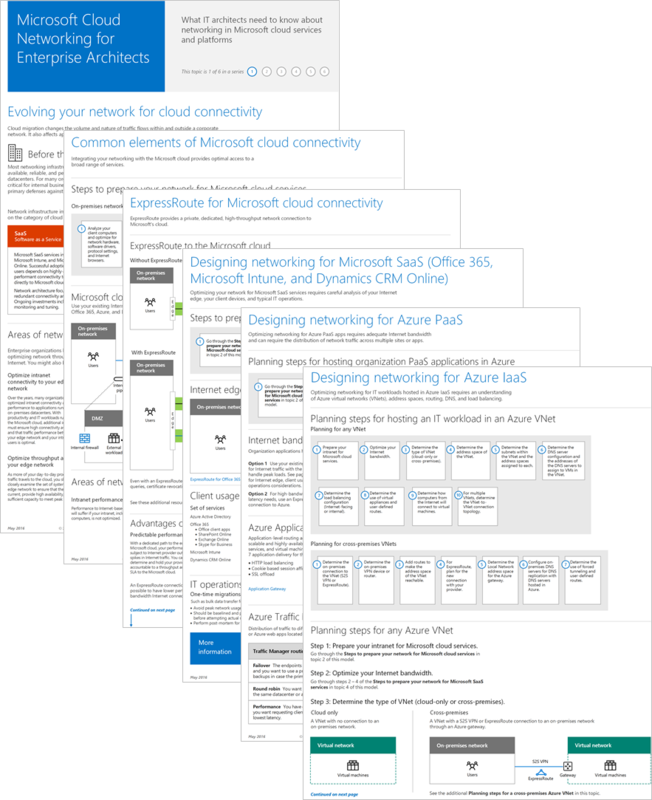 To see all of the resources for Microsoft cloud platforms and services, see Microsoft’s Enterprise Cloud Roadmap at http://aka.ms/cloudarchitecture. Note to Twitter users: If you tweet about this poster or any others in the series, please use the #mscloudarch hashtag. Thanks!